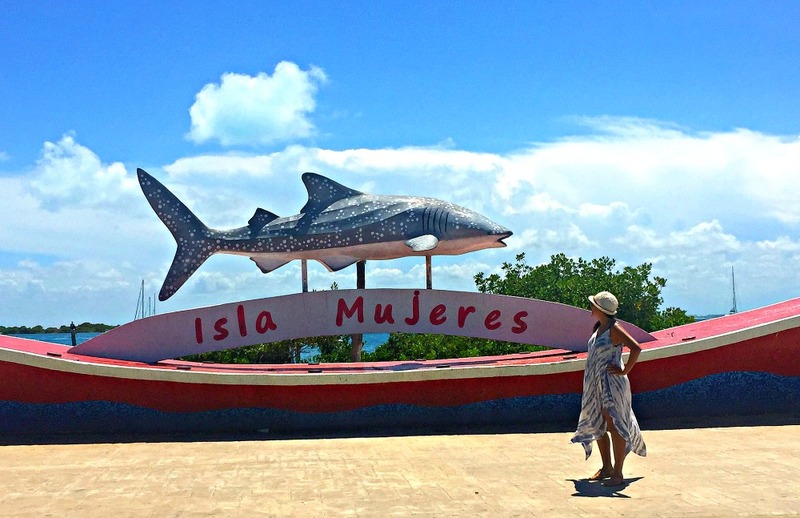 If you’ve never heard of Isla Mujeres in Mexico, you should add it to your radar! It’s an island off Cancun and it’s absolutely gorgeous. 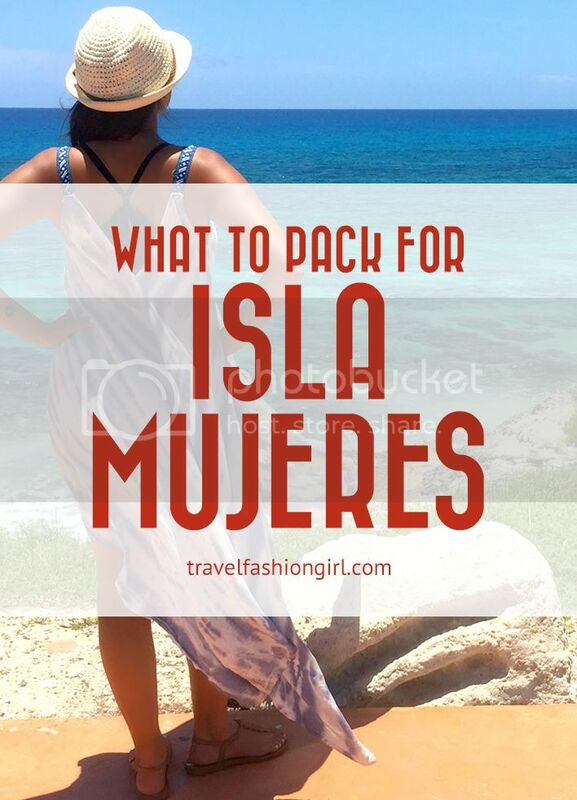 Learn more and find out what to pack for Isla Mujeres! Cancun, on the Riviera Maya, is just a short flight from the U.S. and Canada. But you aren’t limited to just Cancun on your next trip–the Riviera Maya has so many treasures and Isla Mujeres is one of them! 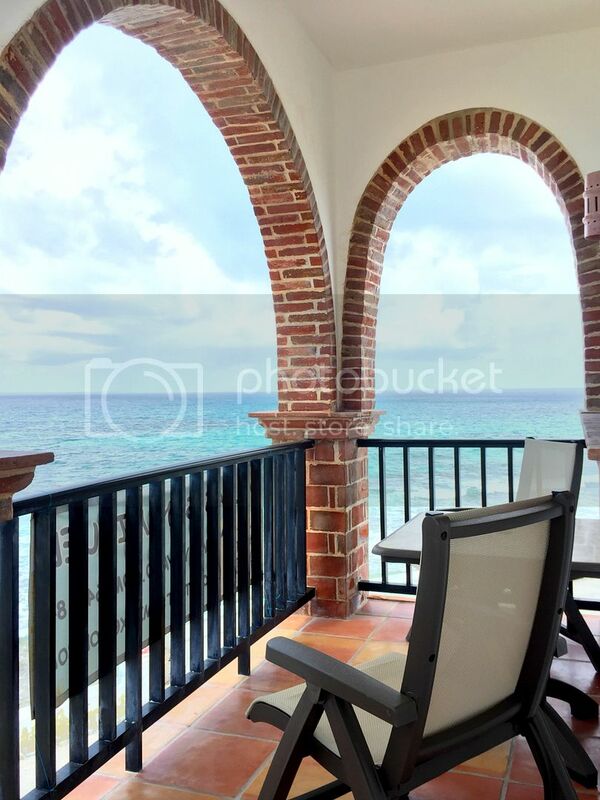 Isla Mujeres is a stunning alternative to the well-known Riviera Maya beach vacations. As an island off Cancun it’s a quick escape from the US or Canada. It’s a short taxi ride from the Cancun strip or the local Ado bus station plus a 20 minute ferry ride. You can visit on an Isla Mujeres day trip from Cancun or Playa del Carmen but a weekend on this island is well worth it! I have chased the sun (and the scuba diving) through 44 countries and traveled to islands all over the globe. Despite that, I still rate the Caribbean Sea in the Cancun area as one of the most beautiful bodies of water I’ve ever seen. The shoreline around Isla Mujeres, in particular, is breathtaking. I couldn’t stop taking pictures! Between the sun and the heat, you may very well feel like walking around in just a bathing suit, so opt for the next best thing: an airy, comfortable sundress. Avoid polyester, chiffon, or fabrics that stick to your skin. Choose rayon, lightweight cotton, or maybe soft modal. Pack one of these thigh chafing products to avoid the dreaded “chub rub”! The sun is a scorcher, and you’ll appreciate some coverage as you explore the south end of the island, which is an absolute must. So gorgeous! Along with a sun hat, pack the strongest sunblock possible, especially if you plan any water activities. I tan quite easily but I added several shades of bronze just over a weekend. Pack (and wear) strong sunblock! Maybe it’s just me but I feel like the solid sunblock sticks are even better than liquids! 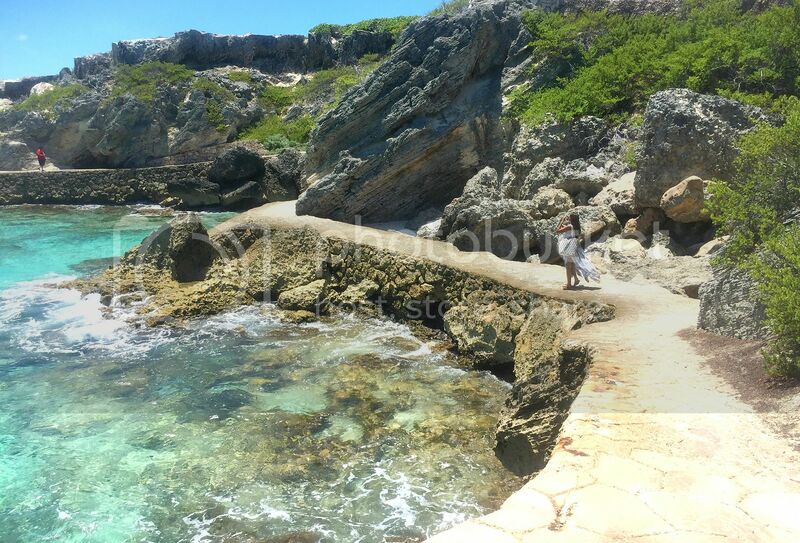 Many tourists find out about this island off Cancun when they arrive for a resort vacation on the mainland so there are many Isla Mujeres day trippers that walk around the island in a bikini. However, if you prefer a little more coverage (I know I do) opt for an airy cotton cover up that you can wear on and off the sand. Sailing trips are very popular on the island and the scenery is too beautiful to pass one up! Throw on your favorite swimsuit and coverup and let the seaside photoshoot begin. These versatile and fun one piece swimsuits are everywhere this summer! Shorts seem to be the casual bottom of choice on the island in the middle of the summer, worn over a bathing suit or not. Denim is always a go-to, but a lightweight print pair of cotton or rayon shorts is a more carry-on friendly style. Tip: Bring a light jacket or hoodie. When it rains, the winds pick up and the weather can feel much colder than the forecast predicts. Here are a few lightweight jackets for summer! Most people rent a golf cart to tour the island on their own. 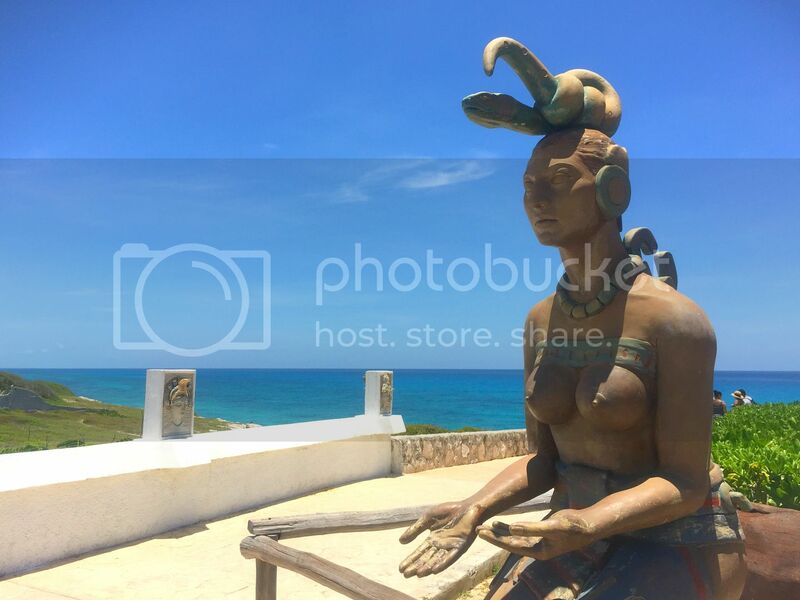 There’s a not-to-be-missed, short, mildly steep walk along the cliffs on the south side of the island near the temple of Ixchel–one of the most revered Mayan goddesses. Unless you feel comfortable walking around in beach shoes (I did), bring comfortable and secure walking sandals. I only packed one pair of shoes for my trip: Ipanema Cleo sandals. This brand and their styles still get my highest recommendations throughout my seaside travels. One of the biggest draws to the island is the epic whale shark migration that occurs every year between June and August. Don’t worry–these sharks are gentle giants and feed on the tiniest creatures in the sea: plankton. Snorkeling with them is a magnificent experience! To fully enjoy this trip or any other snorkeling adventure, I highly recommend you bring your own quality snorkel and mask. Snorkeling companies have cheap gear and a leaky or foggy mask can truly ruin an otherwise wonderful experience. You can use the fins from the tour operator as the quality of fins isn’t as important as your mask. Please read this guide for the best snorkel gear for beginners for more tips to make the most of your trip! Since this is a nearby island off Cancun many people book directly from their resort but if you plan on spending some time on Isla Mujeres then I highly recommend booking the trip with local Captain Tony. As a scuba diver and shark advocate, I wanted to participate in the most ethical tour possible and I’m so grateful to have found him on TripAdvisor. Read his reviews here. He’s passionate about the whale sharks, ensures your safety and theirs, and also takes the proper precautions when driving the boat in the whale shark area. I visited in the middle of whale shark season, in July, and there were hundreds of whale sharks in a vast area. 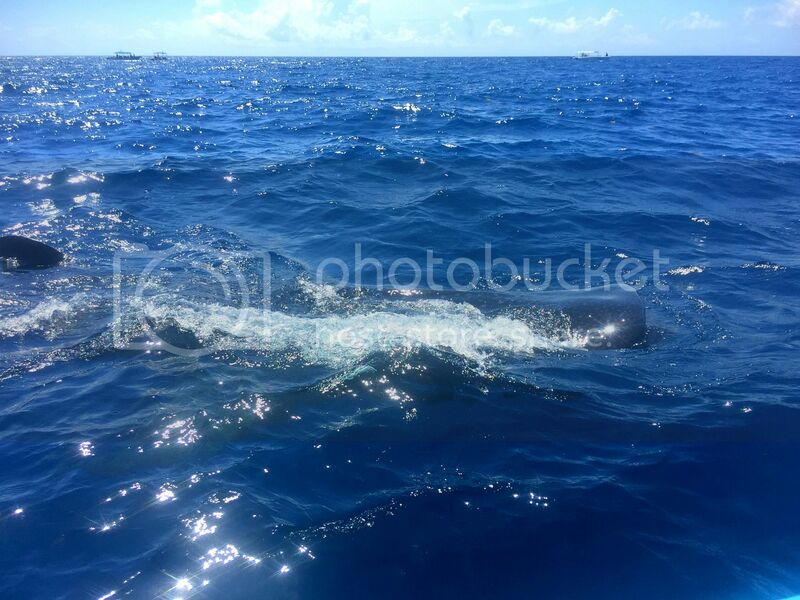 There was at least one (or four) whale sharks per three people. They were everywhere! THIS IS VERY IMPORTANT: Take a motion sickness tablet even if you don’t normally get sea sick. Once you feel nausea, it’s too late to take a pill and your trip is ruined. Don’t risk it! The pill must be taken thirty minutes before you get on a boat in order for it to work properly. Always consult a doctor before taking any medication. I’d also recommend wearing Sea Bands as a back up. Many people get sick, so don’t take any chances! Have you ever heard of this island off Cancun? Share in the comments! 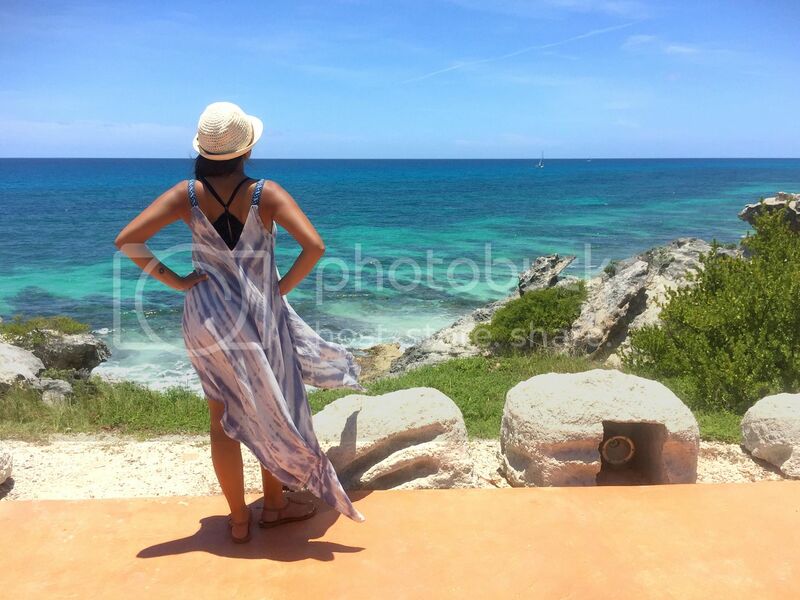 Hope you liked this post on this special island off Cancun called Isla Mujeres. Please share with your friends on Facebook, Twitter, and Pinterest. Thanks for reading! We love Isla Mujeres, got engaged there and are going back for our honeymoon! It is laid back and everyone was very friendly. Highly recommend going, the beach on the north side is fantastic! Definitely agree with the clothing options above don’t need anything fancy! Headed to Riviera Maya & so happy to find this post & packing lists. Now I’m even MORE excited to go! Hi Liz, hope you like it as much as I do! 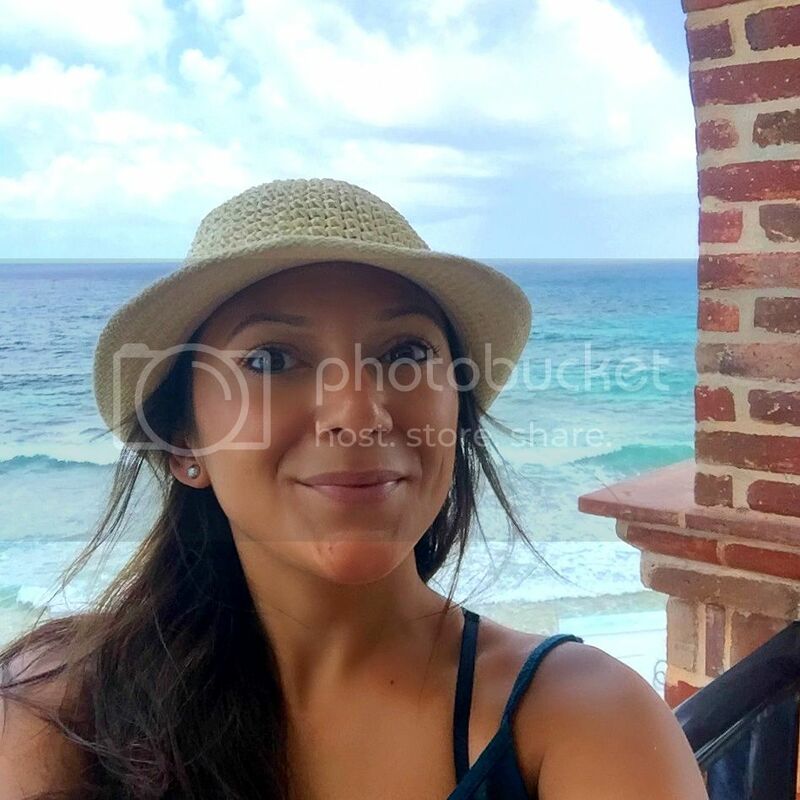 I was at Isla Mujeres (Island of Women) a number of years ago for my niece wedding. I want to go back, it was the sweetest beach town. Reasonably priced, good food, great weather, peaceful beachs and some interesting buys. We traveled the whole island in golf carts. Want to get back for a relaxed vacation!!! Thank you! I am so excited for our trip this month! I’m still not sure if it will be sunny or cool. Have an amazing time and keep checking the weather! Layers are a great option for different temps! These items will also work for the Mexican island of Cozumel, just south of Isla Mujeres and home to some of the best scuba diving in the world. :). I had no idea you had been living in Playa Del Carmen, only a 40 minute ferry ride away from where I live in Cozumel! Yes, definitely agree they would work for Cozumel as well! Thanks for reading Heather!